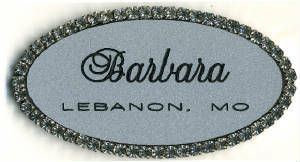 Our name badges are engraved using computerized techniques. 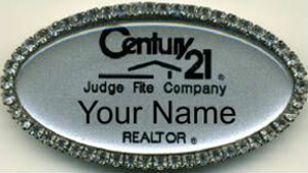 The name badges are engraved using several types of plastics, and with a variety of different colors, shapes, and sizes. 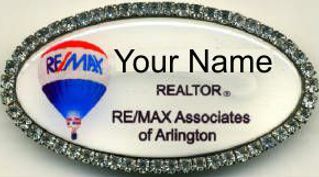 We have the ability to place your name, club, organization, or your company logo on your identification badges. 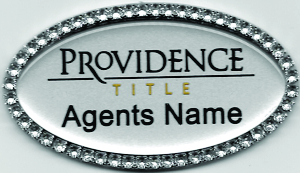 We can place the badges in different types of frames, and also supply an assortment of different attachments. 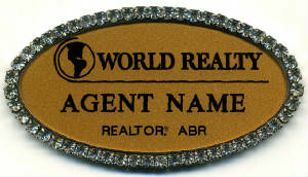 Our badges come with either a standard pin back or a standard magnetic back, your choice.